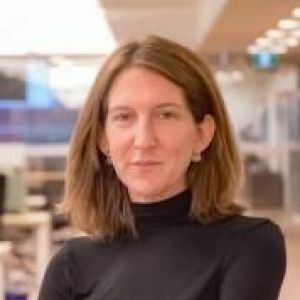 Siri is the Managing Director of OneEleven Toronto, the city's leading community of high-growth scaleups that supports technology companies through periods of substantial growth by giving founders and their teams unparalleled access to community, investment capital, and on-demand access to strategic services and support. Prior to joining OneEleven in September 2018, Siri worked at the Office of the Mayor with the city's tech ecosystem and helped leverage local tech talent to accelerate government modernization through partnerships and procurements with companies including Ritual, Waze and Miovision. In her role as Director of Strategic Initiatives, she helped lead an overhaul of the city’s recreation registration system and was responsible for federal intergovernmental affairs, Waterfront Toronto and the Quayside development with Sidewalk Labs, among other initiatives. Previously, Siri was Deputy Director of Communications to Premier Kathleen Wynne, and Vice President of strategic communications firm Pilot PMR. She also worked as a journalist for 10+ years, most recently as the urban affairs reporter for The Globe and Mail.